Israel is a Zionist state. 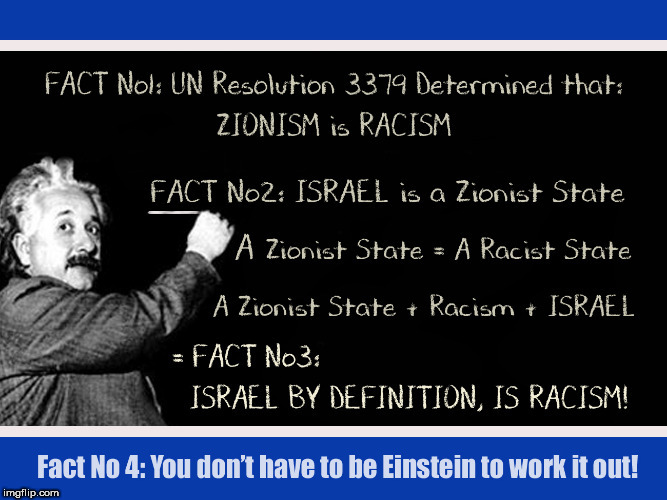 Zionism is the movement for a Jewish country/homeland. That doesn't automatically make it racist, because they don't prohibit non-Jews from living there. Recent laws curtailing the rights of non Jewish Israelis have made it a defacto apartheid state. You can't even boycott them, like what happened with South Africa during apartheid, with the new anti BDS laws. Not sure if that's constitutional. I'd have to dig it up but I think it basically took rights away from Non Jewish Israeli citizens. The consensus I saw agreed it crossed the line into SA territory. But Israel is a small country and they're going to do what they're going to do. Israel has done some pretty bad things before, so it wouldn't surprise me. I generally support them, but I also realize they mess up at times. The problem is that it's getting to the point where you can't criticise them, a teacher in Texas lost her job because she wouldn't promise not to boycott Israel, which is basically thought crime. It's good to have strong allies but when you can't make valid critiques without getting attacked, something is wrong. I guess it just makes it harder to support what Israel does right when there are these heavyhanded tactics. I support Israel's right to exist but I haven't seen a country yet above criticism.